This announcement by Netgem really shows just how far behind youview is slipping, at least in my opinion. It's the new Freeview App and not the Netgem box that offers Freeview via the internet. Freeview without an aerial, I said this was going to happen and here is the start of it... by next year I expect BT to be offering the same. 2. Watch your recordings from your mobile or tablet. 3. Supports YouTube in 4K resolution. 5. Record any Freeview programme (simply via USB storage). 7. Shows live channel in the corner of the screen! 8. Shows live channel in the corner of the screen!! 9. Shows live channel in the corner of the screen!!! 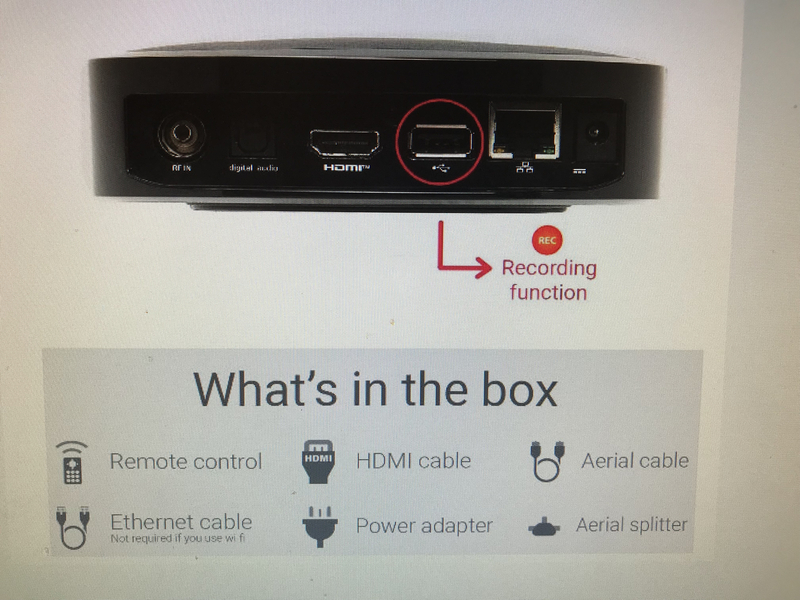 Not sure about your freeview without an aerial..check the picture of the back of the box on Amazon..
Hi @scott, The Freeview without an aerial I think applies to the APP, which is coming to Apple TV boxes and Android which don't have an aerial. So on Apple TV Freeview (at least for certain channels) will be via the internet. It is only a matter of time before this comes a normal option for new boxes. I forgot to mention, it has the Amazon Video app day one. The crazy thing is that Netgem is the company behind EE's TV service, and BT bought EE, but had already committed to youview, while EE's TV service actually offered more functionality. For me, if this box does not have a fan, and I can record to a USB stick, then it's the perfect box for a bedroom! 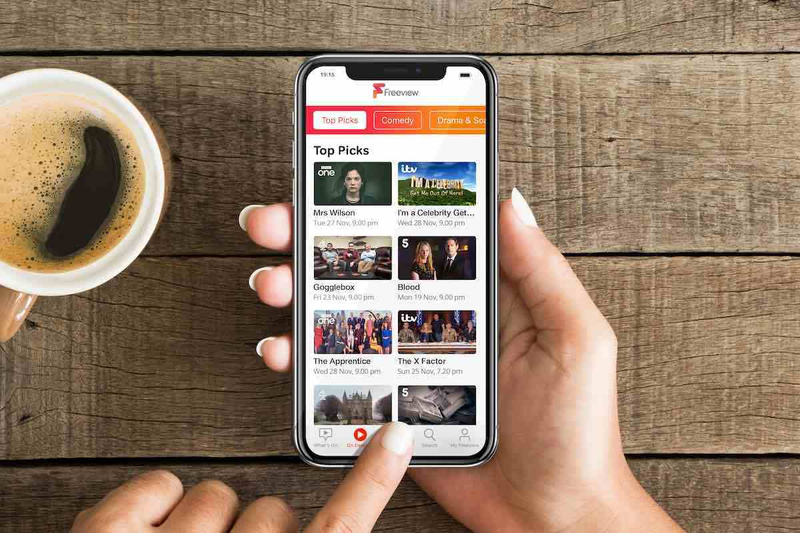 You will need a TV aerial in order to watch live Freeview channels and you will need an Internet connection to stream programs. TV set and Mobile Phone not included. The Netbox 4k will not work with Freesat. It's the App from Freeview that offers internet channels... not the Netgem box. "Today’s news means viewers will be able to watch live Freeview programming without having to access an aerial." So that means everyone can get the App for free? I'm going to edit my original new post to make things clear. The basic HD version is only £49 !!!!!!!! 1 All recordings done on the USB memory stick on a particular device will only be able to be viewed on that particular NetBox 4K device. 2 Watch your recordings on your mobile app when on the same network as the NetBox device. I used to have a PVR that did this. A few minutes searching online and I found a small programme that converted the 'encrypted' recording to a standard AV format and that was the end of that restriction. The same goes for HDCP protection, if I record something in HD on my Youview box let's just say that I don't have a problem watching it on other hardware later on. Nothing is as secure as people would like it to be. I'm curious and would like to understand why you say this is not aimed at youview? If I was a youview retail customer doesn't this give the same number of channels, Yes! If I was a youview retail customer doesn't this give me content discovery, Yes! If I was a youview retail customer doesn't this give me recording, Yes! If I was a youview retail customer doesn't this give me a mobile app, Yes! If I was a youview retail customer do I have Alexa, No! If I was a youview retail customer do I have YouTube, No! If I was a youview retail customer do I have YouTube in 4K, No! If I was a youview retail customer can I view my recordings on my mobile, No! If I was a youview retail customer do I have Amazon Video, No! If I was a youview retail customer does my box support HDR, No!, No!, No! Freeview Play is now where ALL the funding is going.... Not youview. I struggle to see your point? That funding cycle was agreed 5 years ago... do you really think it's going to be renewed??? How about NowTV, I believe no pay platforms are part of the freeview play spec it is down to each individual retailer to agree apps on its base so there is no guarantee Netflix will be on netgems box (although Netflix is very platform agnostic so I would be surprised if it doesn't make it sometime). 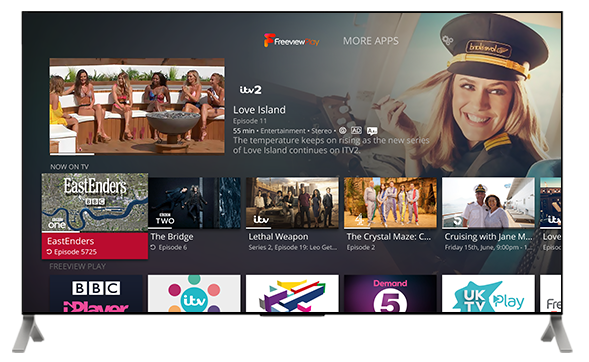 I can't really see BT pulling out from YouView just as it is about to bring Amazon and Full NowTV onto it and it would be interesting to see how much the funding costs are into freeview play as opposed to what BT alone would add to YouView. Let me make it quite clear, I am a youview fan boy, my issue is that youview has always been so slow... and now they are being overtaken... so they need to come back with something better. @highdeftvfan absolutely no one will argue that YouView have always moved too slow for their own good. I am desperate to see new hardware with HDR functionality, I think we will see it from BT next year (I know they are serious about HDR for their broadcasts) but not sure if Retail will follow. Amazon is a good point, as now it should be on all subscription BT boxes it's going to be on when will we see it on retail. Netgem don't offer Netflix, highdeftvfan, and never have, period. Not that it matters what it offers. As said above this device isn't aimed at YouView. Its aimed at like for like devices such as SKYs Now TV which are streamer boxes that come without a hard drive. Not aimed at PVRs. So... a Netgem 4K £150 or a Now TV 4K at £45...... Money talks, as do peoples pockets. I'm clearly out of the loop, I didn't realise a £45 Now TV offered all the freeview channels. Yes, but its remote has no numerical keys, which may present a problem when wanting to move from CH1 to CH101. Though I don't know if one can use a smart phone to do that. I'm confused, @Visionman, you say a £45 NowTV stick gives my all the Freeview channels? I went to their website and I can't see that offer? I found a small programme that converted the 'encrypted' recording to a standard AV format and that was the end of that restriction. I am aware that there are ways and means @Biz, but that isn't the intention. If we are comparing devices we should stick to the official specification. No doubt @Visionman will be back soon, @highdeftvfan, but in the meantime the Now TV website FAQs, under Do I need an aerial, says: No. To watch NOW TV, simply connect the NOW TV Device to your TV and then your existing broadband. You’ll however need an aerial to watch the 60 Freeview and 12 HD Channels. The old non 4K NowTV box had a tuner for freeview channels. So my point is, sorry,,, @Visionman point was that you don't need a Netgem box to get Freeview channels, All you needed was a £45 NowTV stick, is that right @Visionman? I don't know anything about a stick. I was talking about the box. See my link above. @Visionman, tell me, can I get a £45 Now TV Stick that gives Freeview? A £45 NowTV box, the one that had a Freeview tuner in it. The takeup of which was very low due to the inconvenient fact that there were very few viewing devices out there you could plug it into that didn’t already have a full complement of Freeview channels for the taking. What’s this Freeview App, then? All I can get is a Freeview Guide, which crashes instantly on my iPad.